Speaking with Walt Mossberg and Kara Swisher at the All Things D conference, Apple CEO Tim Cook hinted that the future of iOS might include opening the platform to third-party developers. If it happens, it will be a dramatic shift for the Apple mobile OS, and it will have both good and bad repercussions. 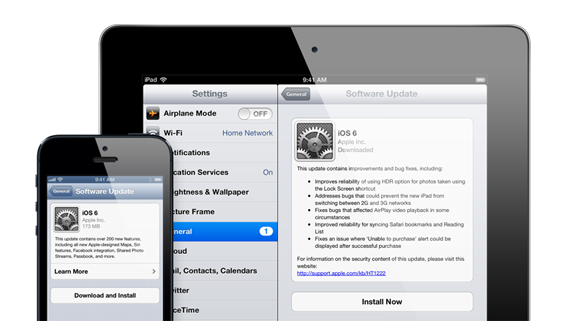 Apple is known for its “walled garden” approach to controlling the iOS experience. Walt Mossberg asked Cook about Facebook Home, and whether or not Apple might consider allowing that sort of customization of iOS, or interaction at that level from third-party apps. 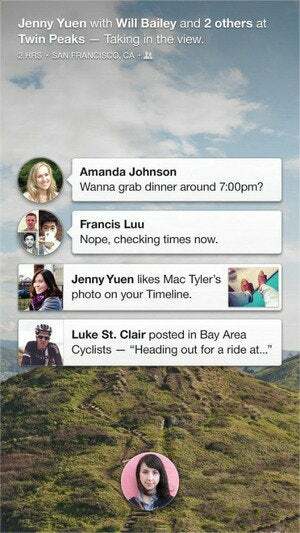 Facebook Home provides a custom overlay that changes the Android experience. Cook responded, “On the general topic of opening up APIs, I think you'll see us open up more in the future, but not to the degree that we put the customer at risk of having a bad experience. So there's always a fine line to walk there, or maybe not so fine." Cook is right: There is a fine line to walk, and opening iOS will present a Pandora’s box that might appease some users while alienating others. Would it be nice to have apps like Facebook Home for iOS? Maybe. I’m sure there are people who use iOS who wish they could make their iPhone or iPad more unique with widgets and custom overlays. Customizing iOS at that level is somewhat frivolous, though. The real benefit of opening up iOS to third parties through APIs will be the opportunity to choose your own default apps. There are plenty of alternate map apps, Web browsers, clocks, notes, reminders, and other apps. iOS is tied inherently to its own apps, though. Ask Siri to set an appointment or reminder, and it will use the iOS Calendar or Reminders app. When someone sends you an address, tapping it opens the default Maps app. By the same token, if someone texts a URL to you, tapping it will open the site within the default Safari browser. I love the VIPOrbit app. I think it’s a superior way to manage my contacts, calendar, and communications. But, there’s no way with the current iOS to assign VIPOrbit as the default source of contact or calendar information, so it requires a manual effort on my part in order to use it effectively. Businesses could operate more effectively and efficiently if Apple provided third-party developers with API access to interact at a deeper level with iOS, especially if alternate apps could be designated to replace core functions. Cook is also right in saying that Apple's customers pay for Apple to make choices on their behalf—but some people buy Android devices because they don't want a third party making those decisions. The "walled garden" can be limiting, but it also ensures a consistent, stable platform. Apple is unapologetic about its tight control of its platforms. The “walled garden” might seem too restrictive—even draconian—to some, but maintaining strict control of the operating system and how apps interact with it is a fundamental element of ensuring a consistent, quality experience for all users. Apple is not infallible—just look at the debacle with its Maps app. The flipside of that problem is that Apple knows who to blame, and it has direct control over fixing the situation. Opening up iOS to third-party apps could result in conflicts, crashes, and finger pointing between Apple and third-party developers over the source of the problem. It can be argued that users should have the freedom to install what they choose, and that they should also understand the potential ramifications and accept responsibility for those decisions. Ultimately, though, problems that arise with third-party apps will reflect poorly on iOS, and have a negative impact on Apple’s reputation. There are customers who want a more open, flexible platform. Apple doesn’t need to pander to those customers, though—they can just choose Android.